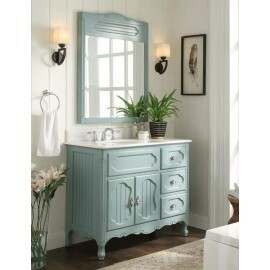 The Victorian cottage style Knoxville series was created with inspiration by Victorian residential a.. 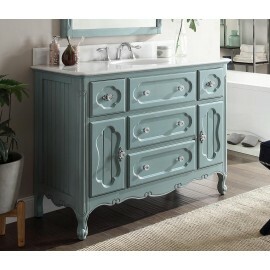 The Victorian cottage style Knoxville series was create with inspiration by Victorian residential ar.. 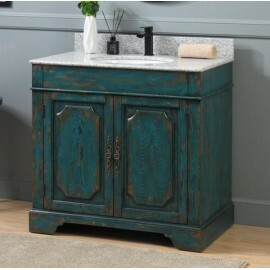 The Victorian cottage style Knoxville series was createe with inspiration by Victorian residential a..
Emerald blue rustic vanity with natural wood accents and a Bohemian feel. 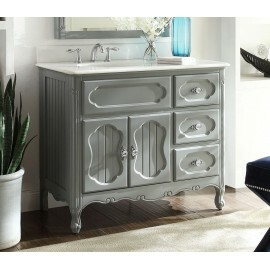 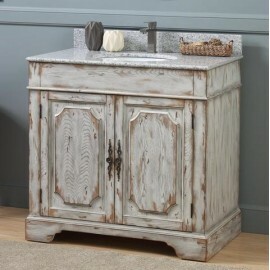 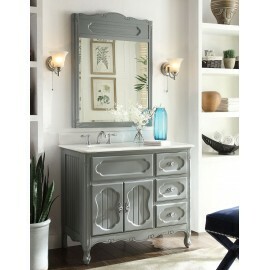 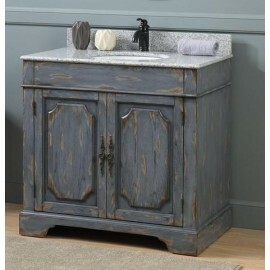 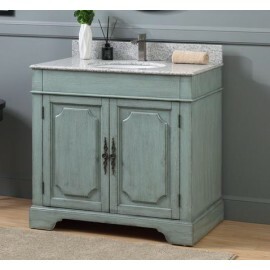 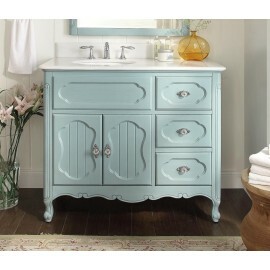 It comes with an undermoun..
Rustic gray vanity with natural wood accents and a Bohemian feel. 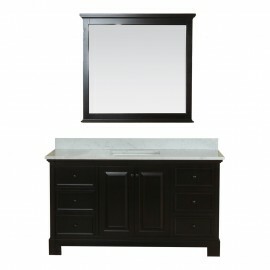 It comes with an undermount oval c.. 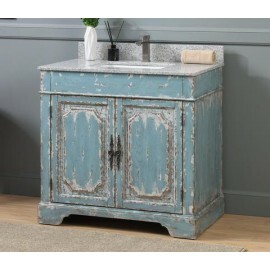 Distressed Rustic light blue bathroom vanity Litchfield has a very diverse design, which will comple..
Rustic off-white bathroom vanity Litchfield creates an aesthetic of a shabby piece, which holds the .. 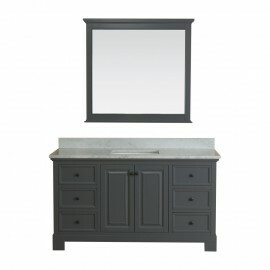 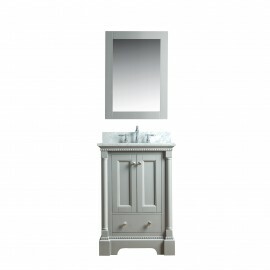 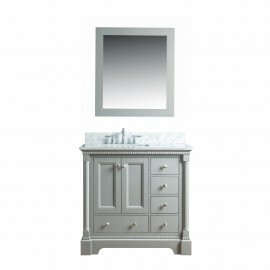 Distressed silver blue bathroom vanity Litchfield has a very diverse design, which will complement y..
Olivia 24-inch grey bathroom vanity is designed to enhance a smaller bathroom project. 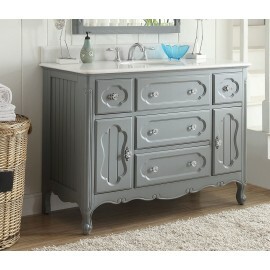 Combination o..
Olivia 30-inch grey bathroom vanity is designed to enhance a smaller bathroom project. 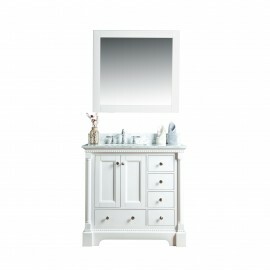 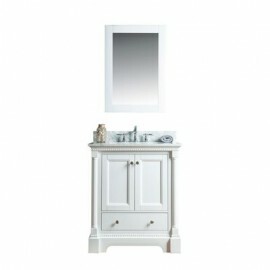 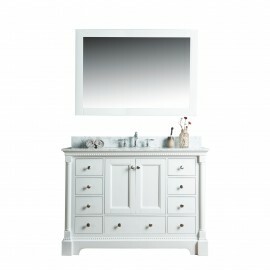 Combination o..
Olivia 30-inch white bathroom vanity is designed to enhance a smaller bathroom project. 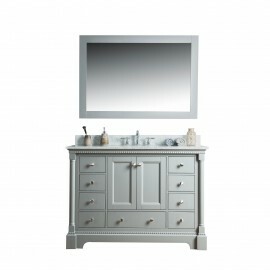 Combination ..
Olivia 36-inch grey bathroom vanity is designed to enhance any size bathroom. 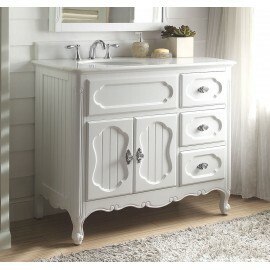 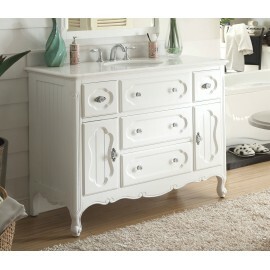 Combination of contemp..
Olivia 36-inch white bathroom vanity is designed to enhance any size bathroom. 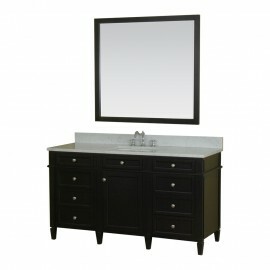 Combination of contem..
Olivia 48-inch gray bathroom vanity is designed to enhance any size bathroom. 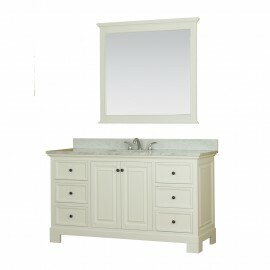 Combination of contemp..
Olivia 48-inch white bathroom vanity is designed to enhance any size bathroom. 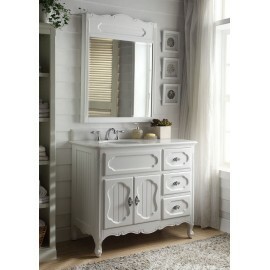 Combination of contem..